Before– This tooth has an old and defective amalgam restoration (silver filling) on it. 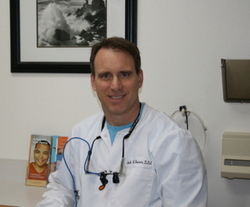 After– Dr. Jack Hosner removed the defective filling and replaced it with a gold onlay. After– Gold onlays placed by Dr Jack Hosner of Portage, MI. After– Dr. Jack Hosner of Portage, MI restored tooth with a gold onlay. After– Dr. Jack Hosner of Portage, MI filled teeth with bonded composite resin, and then placed gold crowns to protect them from fracture. Before– Large decay was removed. Before– Recurrent decay around old defective silver fillings. After– Dr. Jack Hosner of Portage, MI restored the back two teeth with gold onlays. He placed a gold inlay on the other tooth. Before– This Patient is missing one back tooth. After– A 3-unit gold bridge and a single gold inlay were placed by Dr. Jack Hosner of Portage, MI. After– Gold inlays were placed on the tops of these teeth by Dr. Jack Hosner of Portage, MI.